This is my last message to you all as the President, since late 2017, of this extraordinary club. And it comes at a time of vibrant activity and important discussions that need to be had here. In March, we hosted our second in-house charity fundraiser, On Assignment: Yesteryear’s Foreign Correspondent, in support of early education for the children of refugees in Hong Kong. Hats off to First Vice-President Jennifer Jett, former board member Elaine Pickering, the Charity Committee and the Club staff for their tremendous commitment to the success of this event. 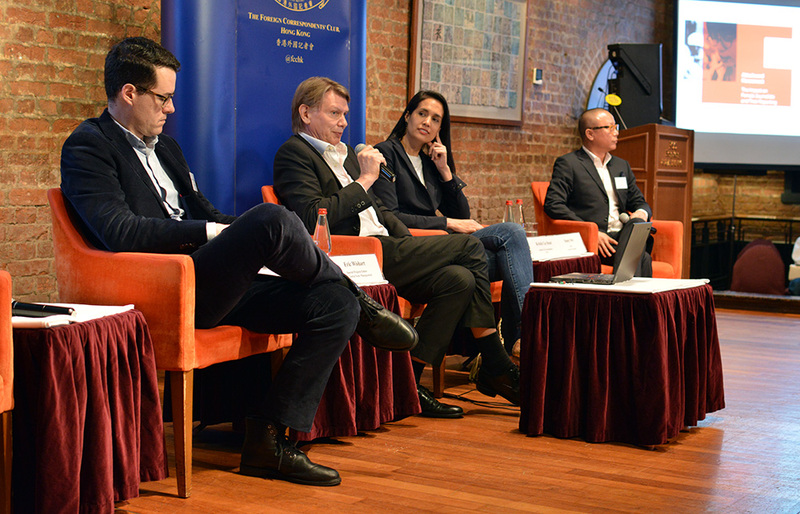 A week later, more than 120 journalists, students and friends of the club gathered for the Journalism Conference to hear about the Dangers of Being a Journalist in 2019. There were some pretty heroic figures on the stage, some of whom had been flown in by the Club from Myanmar, Turkey and the Philippines. Thanks, Enda Curran and Nan-Hie In, and your formidable A-team. You’ve done it again, even better and stronger than previous editions! 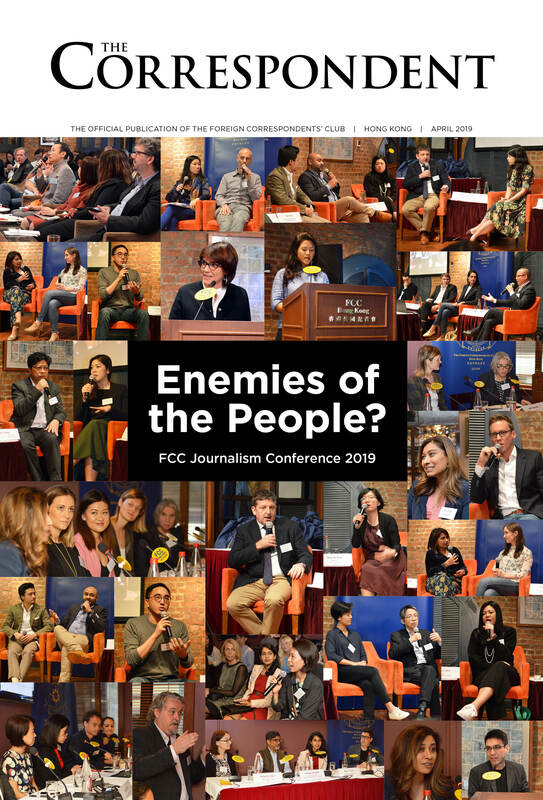 The next important FCC event is the Human Rights Press Awards, co-organised with Amnesty International and the Hong Kong Journalists Association, on May 16. The keynote speaker will be announced shortly. I would like to express my sincere thanks to Sarah Stewart, who has impeccably managed this important event on behalf of the Club since 2017. Over the course of the last few weeks we also held an impressive string of events touching on the state of capitalism, living in the Gobi Desert during the Cultural Revolution, Russia as a declining power, religious freedom in China, Basil Pao’s iconic images of the Forbidden City from the filming of Bertolucci’s The Last Emperor, Internet censorship in China, Formula E in Hong Kong, the relevance of the UN Security Council and more… Phew! 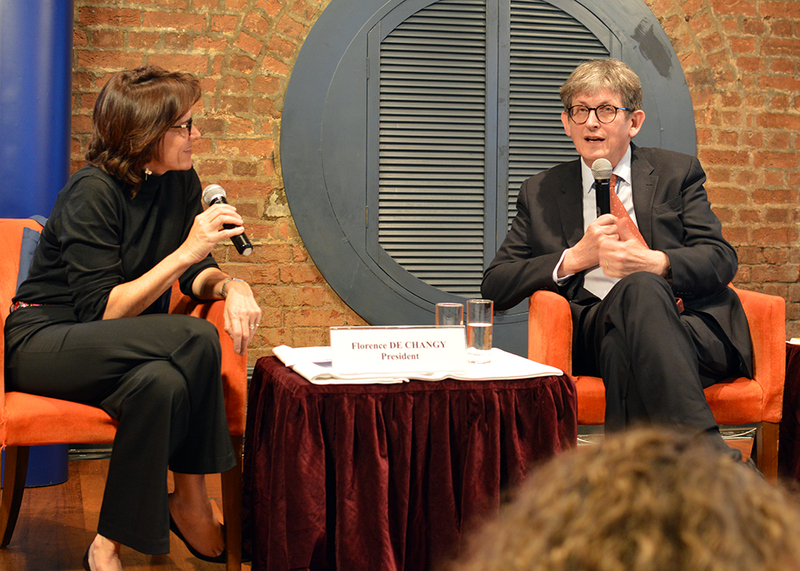 As I write these lines, I am half recovering, half reeling from an evening of jazz and New Zealand pinot noir (my favourite) at Bert’s after hosting a stimulating dinner with Alan Rusbridger, former editor-in-chief of The Guardian. He told a full dining room that journalism is entering a completely new age, one whose consequences have yet to be seen. I sincerely hope that the Club will soon have the opportunity to host the Chief Executive, Ms Carrie Lam, and the Chinese Commissioner, Mr Xie Feng, to whom we have renewed invitations to speak at the Club. The Club has been through its own little revolution in a very short period of time too as our reborn and redesigned magazine is celebrating its first birthday with this issue (many thanks Sue Brattle for having brilliantly taken up the challenge) whilst our presence on social media has rocketed, mostly thanks to our smashing social media editor, Sarah Graham. I would also like to bring to your attention a new Fellowship that the Club is launching to support young journalists whilst honouring one of our legendary members, Clare Hollingworth (1911-2017). As you may have noticed, in recent years the Club’s membership has become younger and more gender-balanced. The Clare Hollingworth Fellowship, detailed on the website, is another step to attract the next generation of journalists. If you know an early-career journalist or journalism student who would benefit from this fellowship, please encourage him or her to apply by May 31. The master plan produced by Purcell has now been handed in. It is a reference document that will be used in the years to come. Different options to best share its outcome with all members are being considered. We have also received outstanding design suggestions by students from the InsightSchool of Design for a refit of the basement floor. Members interested in seeing these documents are welcome to borrow them from the Office. Since my last message three months ago, the dialogue between members who opposed the introduction of anti-harassment guidelines has continued in an open and lively debate. The good news is that we all agree on both the importance of free speech and the importance of making the Club a comfortable and safe place for everyone. This is a responsibility that all members share. Whilst the Club cannot tolerate inappropriate behaviour, I believe most situations can be resolved on the spot before they escalate. To that end, please look out for each other and speak up if intervention is required. The staff is also being trained to better handle these situations. We will shortly consult all members and spouses through an online survey. I wholeheartedly encourage you to take part, to help us steer the Club in accordance with your expectations. It is good for them but a loss for the Club that several excellent correspondent members of the Board are being posted outside Hong Kong. Alex Stevenson (The New York Times) has already left for Beijing and has been replaced by Jennifer Hughes from Thomson Reuters. Sarah Stewart (AFP) is assigned to Dubai, Andrew Marszal (AFP, who spearheaded the survey with Genavieve Alexander) is off to Los Angeles, and Jennifer Jett has received a scholarship to study in China. I wish them all the very best in their new endeavours and thank them very sincerely for the precious time and energy they have given to the Club. I have been extremely encouraged by the number of members willing to stand for the next board in all three categories (Correspondents, Journalists and Associates). The FCC needs and deserves skilled, dedicated and professional board members from all walks of life. I thank them in advance for their contributions to the Club. They will be greatly assisted in all their projects by the amazing staff the Club is so lucky to have, headed by Didier Saugy, whose arrival at the Club has been the best news for the Club in a long time. Recruiting Didier is one achievement I feel particularly happy about. Of course, I still have a long and wishful “to do list” and leave some unfinished business on the table. Hong Kong yet and will continue to enjoy the Club on a very regular basis!